Image | This entry was posted in Nature/Outdoors, Places/Travel and tagged boats, British Columbia, dogs, Gibsons, ocean, people, Sunshine Coast, water. Bookmark the permalink. Heh. 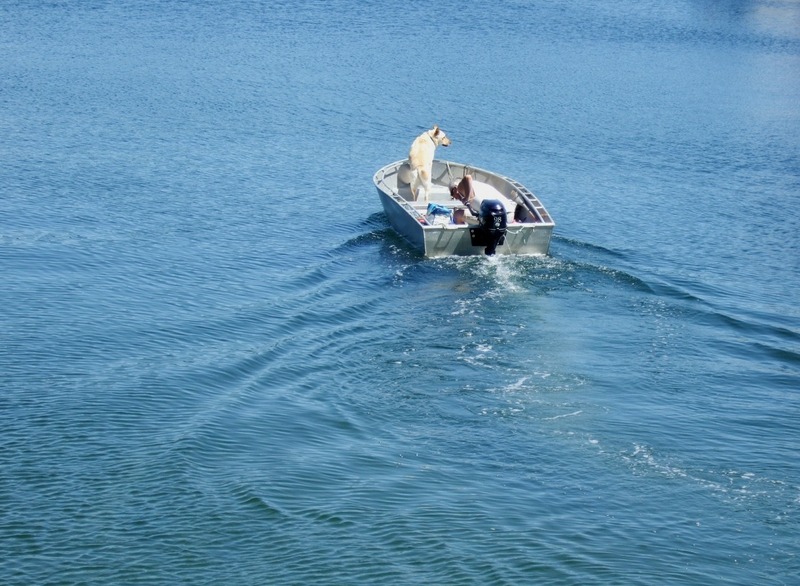 For a moment I thought the dog was driving the boat. He or she stole the boat and is making a break for it! Nice Summer light in the photo Leslie. Thanks, Ken! The weather was glorious the whole week we were there.